Eco Friendly Furniture Guaratnteed to Last and Backed by a 20 Year Residential Warranty. 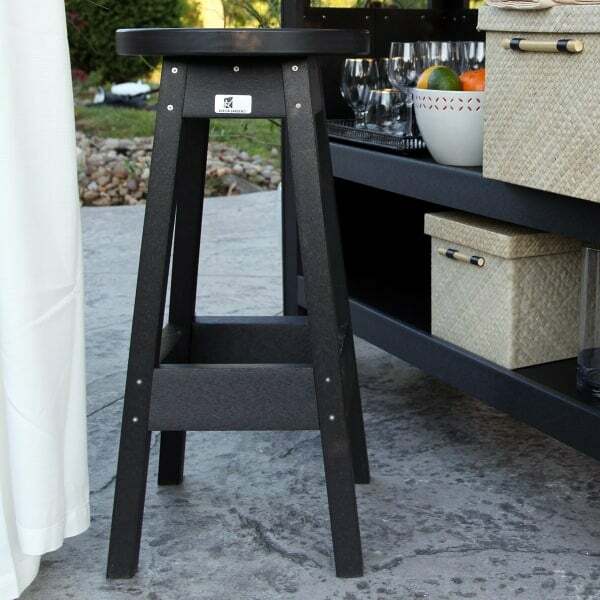 The Backless Bar Stool by Berlin Gardens is a versatile, all-around stool that would work flawlessly when paired with the Berlin Gardens Outdoor Bar; these would be wonderful in an outdoor kitchen/living area with a built in bar as well. 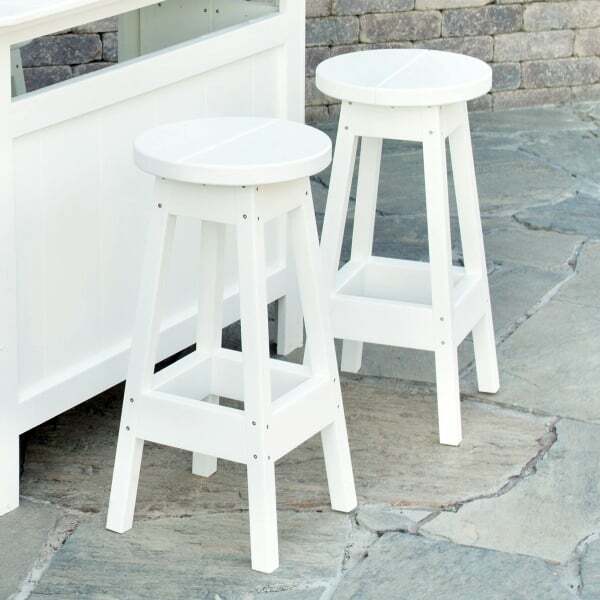 Like all of Berlin Gardens patio furniture, the Backless Bar Stool is constructed of durable high density polyethylene, or HDPE that has been recycled from milk jugs. This poly lumber is impervious to the weather and elements and can be placed in absolutely any outdoor venue. It is available in over 20 colors or color combinations, for a perfect fit into your décor. And Berlin Garden is so confident of their product; these Backless Bar Stools are backed with a 20 year warranty!